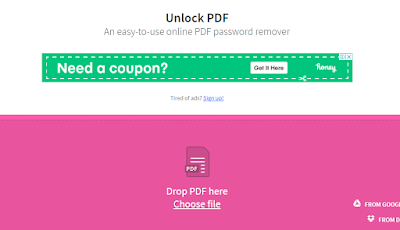 Unlock PDF File: Hello Friends In today's article, we are going to tell you how to Unlock PDF File without Password (Unlock PDF File), which is also very easy to edit PDFs. Friends, as in today's work of PDF Sharing, on the Internet, very much work is done and many websites provide free PDF Files like you talk about Education category. There are so many such websites in this field that you can find educational PDF Files Provide Does. Like the latest Carer News, you get daily new Educational PDF files on this website and you can download them very easily in Free Download. Now if you have such a website or you provide PDF files on your website then you will also need a lot of PDF files, now if you download a PDF file from the Internet, then it will be password protected. You can not edit that PDF file. In order to edit any Locked PDF File, you will need to create an Unlock PDF file so that you can edit that PDF file. First of all, we know that there are so many ways to create Unlock PDF File for any PDF file, Normally two types of methods are said, but we will tell you the 3 ways to Unlock PDF File. AnyBizSoft PDF Password Remover This is a software that is used to unlock any Locked PDF file. Now because this software is a paid software, you have to buy it to use it and only then will you be able to use this software. First of all, you have to download this software and install it on your computer/laptop. Now you can open this software and click on the option of New File so that you can select the PDF file located on your computer. After selecting the PDF file, open and select Unlock PDF File which you want to save in Folder or Drive. Now you click on the Start button and your PDF File Unlock will be saved in the PDF file and saved in your selected folder. , Thus you can very easily unlock your Locked PDF File. This tool is very good according to you. You have to open the small PDF Tool first and upload your PDF file here. You also get two options for uploading a PDF file 1. Drag and Drop and Second Choose File Then this tool will ask for permission from you for which first click on the check box and then click on Unlock's Button. 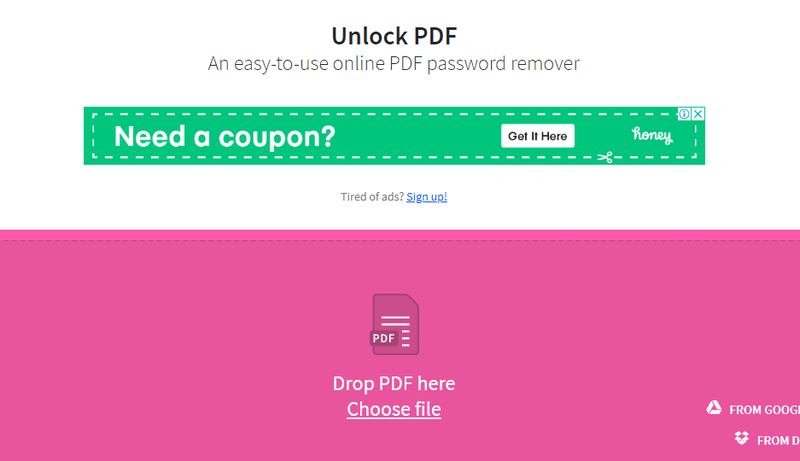 Now, this tool will unlock your PDF file and you will have to download your Unlock PDF for which you will get a button of Download in this tool. Click on that button of the download and your PDF file starts downloading. In this way, you can easily unlock your PDF file with the help of SmallPDF Tool. The ILovePDF Tool in Online Tools is a tool in which you get almost all the options related to the PDF. 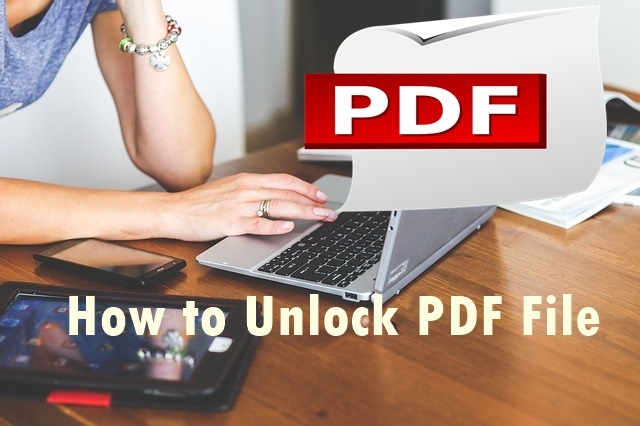 You can unlock your Locked PDF file by using ILovePDF for which you have to open the ILovePDF Tool and click on the Unlock PDF button, then click on the Choose File button, upload your PDF file, PDF File After uploading, click on the Unlock Button button below and your PDF File Unlock will start. Now you can download your PDF file by clicking on the Download Button. Chrome Browser can also be used as a PDF reader and print any document as well. You have to use Print Feature, first you open your PDF file in Chrome Browser and click on Print Button or press Ctrl + P Button from Keyboard. Now you get an option of choice in the Destination Option, click on the option of Destination, now a new window will open on your screen, where you get the option of Save as PDF. Click on the Save as PDF Button and click on the Save button above, now you have to set a location where you want to save your PDF and click on the Save Now button below. In this way, you can easily unblock your PDF by using Chrome. Hopefully using the methods mentioned above, you will be able to easily convert any PDF to Unlock PDF file. Now if you have any confusion about this topic or you have any questions, please tell us in the Comment Box Thank you. What is HTTP and HTTPS? What are the Benefits of HTTPS?